A spokesman for Canadian foreign minister John Baird asked me to apologize to the Israeli government, citing the equivalency I drew between the terror of the self-styled "Islamic State" and that of Israeli settlers who under the banner of a "Jewish State," and with the backing of their government, have been in a campaign of terror that include the burning of mosques and churches, the destruction of olive groves and the brutal murder of Palestinian civilians. After spending the past few years listening to Mr. Baird going out of his way to legitimize the banality and brutality of a 50-year-old Israeli occupation, I tell Mr. Baird: enough. If there is anyone that has to apologize, it is Mr. Baird himself. He should first apologize to his own citizenry, many of whom are God-loving Jews, Christians and Muslims who would never condone nor cheer for an Israeli government that stretches support to Israeli settlers who attack churches and mosques. Mr. Baird should apologize for his active encouragement of 'Israel''s brute and ugly occupation and its apartheid policies. He should apologize for failing to promote those things Canadians hold dear such as freedom, dignity and human rights and for replacing those ideals with an outspoken support of 'Israel''s clear and undisputed violations of international law. Prime Minister Stephen Harper and Foreign Minister Baird were elected at a time when the most right-wing extremist government in the history of 'Israel' was elected. Instead of using their sympathies and working relations with 'Israel' to promote peace, they decided to side with those policies which the entire world – including the United States of America – have rejected. Its outspoken support of Israel's policies has placed Canada in an awkward position within the United Nations system and has radically altered its standing and image in the Arab and Muslim worlds. The Palestinian leadership has been engaged in a diplomatic effort to obtain those very same ideals Canadians hold dear – to achieve freedom and dignity. We have been working tirelessly to exercise our right to self-determination and establish a state of our own – a state that lives in peace and security with its neighbours, including 'Israel'. 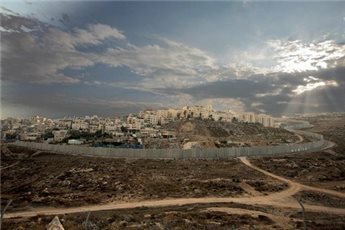 But we repeatedly face a stumbling block in the form of an Israeli government more interested in the consolidation of its illegal settlement build-up, rather than in achieving peace with its neighbours. Against this background, we have tried to widen our political horizon, not through violence, nor through terror, but by employing the tools available to us under international law. Instead of rewarding the Palestinians for their insistence on pursuing peace and for their deep commitment to the stability and security of the region, Mr. Baird has chosen to deride and stand against Palestinians at every corner. When the UN in 2012 upgraded Palestine's status from an observer entity to an observer state, it was not the Israeli Foreign Minister who traveled to New York in order to defend 'Israel''s position; unfortunately, it was Mr. Baird. Though his efforts were and remain largely ineffective (the resolution passed with an overwhelming majority of 138, with only 9 voting against), they came as a slap in the face to Palestinian efforts. Canada also lobbied against our UNESCO membership, a move aimed at protecting and preserving sites of universal value, such as the Nativity Church and the Roman terraces of the village of Battir. Last November, Canada was one of six countries voting against several UN resolutions requesting an Israeli withdrawal from occupied Palestine, and reaffirming the illegality of Israeli policies including the annexation of Occupied East Jerusalem. The six were Canada, the United States, Micronesia, Palau, the Marshall Islands and Israel. As a matter of fact, while the whole of the international community condemns 'Israel' for its systematic policy of demolishing Palestinian homes and forcibly displacing Palestinians in Occupied East Jerusalem, Mr. Baird has decided to legitimize 'Israel''s illegal, de facto annexation of the city by meeting an Israeli minister in Occupied East Jerusalem. While thousands of Palestinian civilians were being slaughtered in Gaza, Canada was among the very few countries that encouraged 'Israel' to continue its attack on the besieged territory. Amnesty International had to remind Mr. Baird that "Canadian policy must reflect unwavering commitment to the fundamental international legal principle of civilian protection and must demonstrate equal concern for both Israeli and Palestinian civilians." Mr. Baird has utterly failed to shape his policy in this way. But Palestinian lives evidently do not concern Mr. Baird. Yes, those Israeli terrorists who burned alive 16-year-old Muhammad Abu Khdeir in Jerusalem are no different from those Islamic State terrorists who beheaded Steven Sotloff in Syria. Those who actively burn mosques and churches in Palestine, and campaign to destroy the Al Aqsa Mosque, are no less terrorists than those who kicked the Christians out of Mosul. But Canada, instead of supporting the application of international law, has decided to encourage 'Israel' to continue with its crimes. As I stated in a letter to Mr. Baird after his meeting in Occupied East Jerusalem: "Canada's actions are tantamount to complicity in ongoing Israeli violations of the international laws of war." We know that the majority of Canadian citizens disagree with their current leadership's position vis-à-vis Palestine. Some are silent, but others have made their opinions clear, including the thousands who took to the streets of Montreal, Ottawa and Quebec calling for a just and lasting peace. Mr. Baird is first and foremost doing his country a disservice by contravening its deep commitment to international law and human rights. He is also doing the region a disservice by supporting those forces standing firmly against peace. Mr. Baird should apologize: It's never too late! 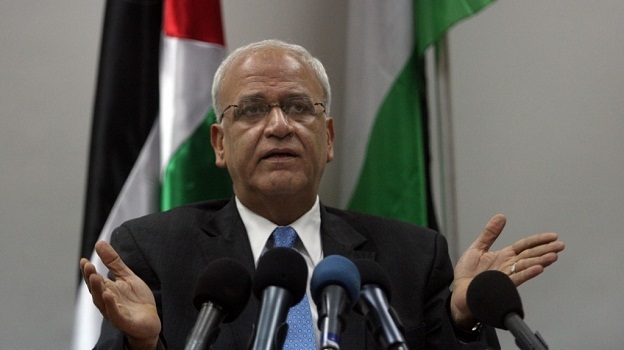 Dr. Saeb Erekat is Palestinian chief negotiator and a member of the Palestine Liberation Organization Executive Committee. Prime Minister Rami Hamdallah said Saturday that all Israeli crimes against Palestinians would be documented, and that Palestine would join more international organizations. 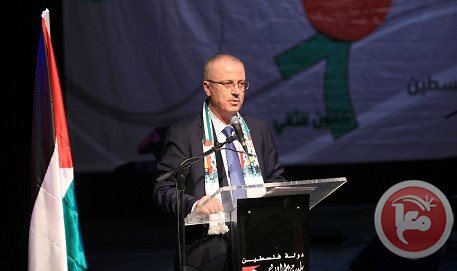 Speaking during a celebration of Palestinian Martyr Day in Ramallah, Hamdallah said: "We will not accept that our martyrs be turned into numbers, names, or be forgotten as Israel wants." He said the Palestinian Authority's main goal was to "accomplish Palestinians' ambitions and aspirations and that for which the martyrs died and sacrificed." "We will continue working with all the free people of the world and with international human rights organizations to make sure that the bodies of all Palestinian martyrs be returned from numbered graves (in Israeli-controlled areas) and be buried according to Palestinian national and religious rituals"
Following an Israeli Supreme Court decision in 2014, a number of Palestinian families have received the remains of relatives who were killed by Israeli forces and whose bodies had been held by Israel. 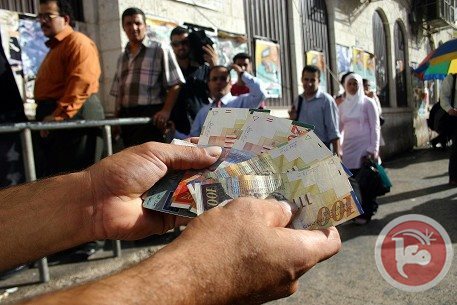 A senior Fatah official told Ma'an Saturday that he expected Israel to release the tax revenue money it has been withholding after a month or two. Muhammad Shtayyeh, a member of the Fatah Central Committee, told Ma'an that Israel was withholding the money in an attempt to "twist the arm of the Palestinian Authority." But he said the money would likely be released within a few months given that "neither the international community nor Israel is interested in causing the PA to collapse." "There is international pressure on Israel to release the money ... and we don't swap money with political positions," Shtayyeh said. Shtayyeh, who is a former PLO negotiator, also said that he did not expect negotiations with Israel to be resumed any time soon. "(Israeli Prime Minister Benjamin) Netanyahu has not stopped settlement expansion and neither has he released prisoners," he said. The Palestinian leadership thus views a new round of negotiations to be "a waste of time" at this point. He said that negotiations have been ineffective for Palestine for the past 20 years. "For that reason, we have sought new mechanisms, including the UN Security Council and the International Criminal Court." The US and EU have criticized Israel's retaliatory move to withhold some $127 million in taxes owed to the PA in response to Palestine's application to join the ICC. "The State of Palestine has signed the Rome Statue to guarantee an end to war crimes and crimes against humanity, which Israel, the occupying authority, has committed and is still committing against our people," it added. The Hamas movement also applauded the decision, saying it was ready to present thousands of documents to the ICC that prove Israeli war crimes have taken place. 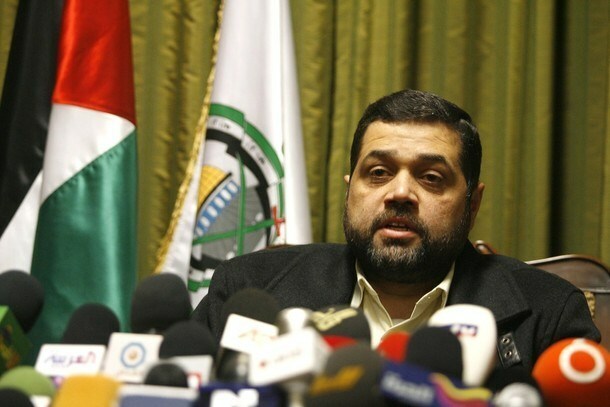 Hamas spokesman Fawzi Barhoum said in a statement that the war crimes probe was an important, long-awaited step. "This step will be a spark of hope that Palestinians will be able to see the Israeli leadership prosecuted and held accountable for their crimes," Barhoum said. On Friday, ICC prosecutor Fatou Bensouda opened an initial probe to see if war crimes have been committed against Palestinians, including during Israel's military assault on Gaza last summer. 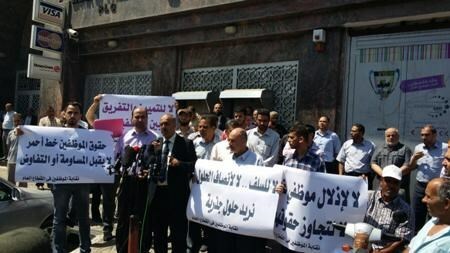 The syndicate committee in defense of the rights of civil servants announced the launch of new series of activities to protest the unity government’s denial of Gazan employees’ rights. The committee announced, in a statement on Saturday, a total work suspension on Sunday and Monday in the four ministries headed by Gazan ministers. They are the Ministry of Public Works, Ministry of Labor, Ministry of Justice, and Ministry of Women Affairs. The committee also announced a strike in all ministries including health and education on Tuesday. Sections of emergency, incubation, operation, urgent birth giving, dialysis, Intensive Care Unit, and blood bank were exempted from the strike. The committee undertook to continue the activities until obtaining the civil servants’ rights in full. The Palestinian consensus government has been refusing to recognize Gaza’s civil servants, who were recruited during Hamas’s rule of the enclave, and refraining from paying their wages. Hamas's foreign relations director Osama Hamdan said his Movement would give the unity government an additional opportunity for success regardless of the differences. "We are seeking to rebuild the Palestine Liberation Organization (PLO), and we will also give the Palestinian national unity government its chance to succeed, whatever the differences," Hamdan stated during a memorial ceremony held last night for late Palestinian minister Ziyad Abu Ein by the national action group for Palestine in the Moroccan capital Rabat. "The path of Oslo was disastrous at the Palestinian national level and for the Palestinian relations and the national liberation project," the Hamas official said. "This path has only led to more suffering for the Palestinian people and the resistance and nothing else will continue to be the only road [to liberation], while the other ways are only routes where we may waste some time on them till we are guided once again and return to the road of resistance," he added. 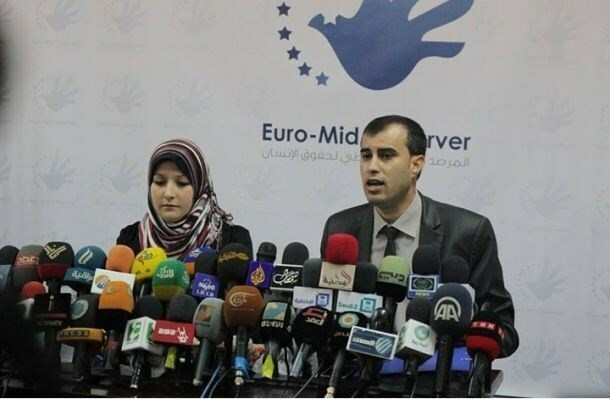 The Euro-Mid Observer for Human Rights welcomed in a statement issued Saturday the decision made by the International Criminal Court (ICC) "to open a preliminary probe into the situation in Palestine". The Euro-Mid Observer said that ICC General Prosecutor’s decision to open an inquiry into war crimes committed in the occupied territories gives hope for justice to thousands of victims of war crimes. This decision would put an end to impunity for crimes against humanity that often causes further conflict and violence escalation, the statement said. The statement called on European countries to support ICC’s decision and to pressure the Israeli authorities to fully cooperate. ICC chief prosecutor Fatou Bensouda decided Friday to open a preliminary examination into the situation in Palestine after accepting the jurisdiction of the ICC over Israeli crimes committed in the occupied Palestinian territories, including East Jerusalem, since June 13, 2014. 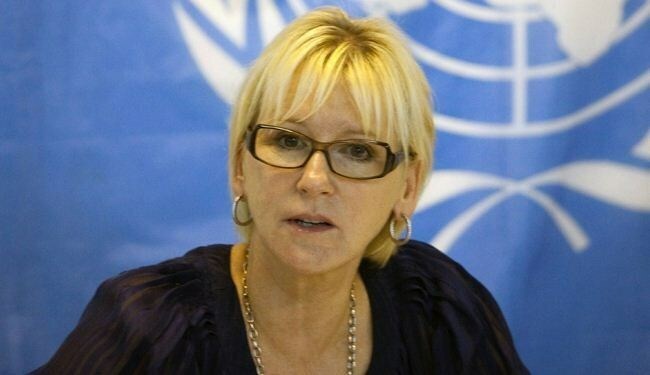 Swedish foreign minister Margot Wallstrom said on Friday that Israel had annoyed close allies by overreacting to her country's recognition of the state of Palestine, saying its rhetoric over the issue had "overstepped all limits." "It is unacceptable how they have been talking about us and everybody else," Wallstrom said in an interview in the daily newspaper Dagens Nyheter. "It has irritated not only us, but the Americans and everyone who has anything to do with them right now." She stressed that Sweden supported Israel, Palestine and peace, but it was sharply critical of Israel's policies against the Palestinians. "Israel is extremely aggressive against the Palestinians," she said. "They have continued with their settlement policies, they have continued demolitions, they have continued with their occupation policies which entail a humiliation of Palestinians and makes the peace process difficult." Relations between Israel and Sweden have worsened since Social Democrat premier Stefan Lofven used his inaugural address in parliament last year to announce that his country would recognize a Palestinian state. For its part, Israel described the move as ill-considered and said it would not contribute to peace. It also called its ambassador back to Tel Aviv for consultation. The United States joined Israel in condemning the International Criminal Court decision to open a preliminary probe into possible war crimes committed against Palestinians, blasting it as a "tragic irony." ICC prosecutor Fatou Bensouda said her office would conduct an "analysis in full independence and impartiality" into alleged war crimes by Israel, including those committed during last year's Gaza offensive. Nearly 2,200 Palestinians, overwhelmingly civilians, and 73 Israelis, almost all soldiers, were killed during last summer's Israeli assault on Gaza. The US criticized the decision late Friday, saying it opposed actions against Israel at the ICC as "counterproductive to the cause of peace." "It is a tragic irony that Israel, which has withstood thousands of terrorist rockets fired at its civilians and its neighborhoods, is now being scrutinized by the ICC," US State Department spokesman Jeff Rathke said in a statement. Israeli Prime Minister Benjamin Netanyahu had earlier reacted angrily to the prosecutor's decision, calling it "scandalous" and "absurd" since "the Palestinian Authority cooperates with Hamas, a terror group that commits war crimes, in contrast to Israel that fights terror while maintaining international law, and has an independent justice system." Gambian-born Bensouda had earlier stressed that "a preliminary examination is not an investigation but a process of examining the information available ... on whether there is a reasonable basis to proceed with an investigation." Israel began a massive crackdown on the West Bank on June 13 after the kidnapping of three Israeli teenagers, triggering a series of escalations that led to the seven-week Gaza war. Palestine's move to join the ICC is also seen as part of a shift in strategy to internationalize its campaign for statehood and move away from the stalled US-led peace process. Many Palestinians regard the process with suspicion as Israel has consistently increased settlement expansion and land confiscation during the talks, in addition to arrests and killings of activists. The Palestinians were upgraded from observer status to UN "observer state" in 2012, opening the doors for them to join the ICC and a host of other international organizations. 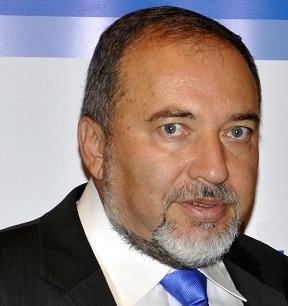 Israeli Foreign Minister Avigdor Lieberman said the sole purpose of the preliminary examination was to "try to harm Israel's right to defend itself from terror" and he said the decision was "solely motivated by political anti-Israel considerations." Lieberman accused the court of double standards for not examining the mass killings in Syria or other conflict zones, investigating instead "the most moral army in the world." Israel earlier this month delayed transferring some $127 million in taxes it collects on behalf of the Palestinians in retaliation for the attempts to press war crimes charges against Israel. Palestinian foreign minister Riyad al-Malki welcomed the ICC's move. "Everything is going according to plan, no state and nobody can now stop this action we requested," he told AFP. "In the end, a full investigation will follow the preliminary one." Rights group Amnesty International welcomed the ICC's announcement saying it "could pave the way for thousands of victims of crimes under international law to gain access to justice." But the initial probe could lead to an investigation into crimes "committed by all side," Amnesty stressed in a statement. Friday's announcement is the second such initial probe by the ICC's prosecutor into the situation in Palestine. The Palestinian Authority in 2009 lodged a complaint against Israel but the ICC prosecutor said in 2012 after "carefully considering legal arguments" it could not investigate because of the Palestinians' status at the UN. At the time the Palestinians' "observer" status blocked them from signing up to the ICC's founding Rome Statute. 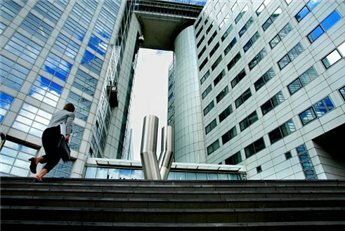 The ICC, which sits in The Hague in the Netherlands, is the world's first independent court set up in 2002 to investigate genocide, war crimes and crimes against humanity. But it can only probe alleged crimes in countries that have ratified the Rome Statute, or accepts the Hague-based court's jurisdiction for a certain time period, or through a referral by the UN Security Council. While 123 countries have now ratified the Rome Statute, Israel and the United States have not. The Foreign Minister went on to talk about Syria and how the court “failed to intervene,” adding that there is no comparison between the Israeli army, which he called the most moral army in the world, with what he labeled as “terror groups” in Gaza. He called on his government to officially reject the decision, and refrain from any cooperation with it. The latest developments came after the ICC prosecutor Fatou Densouda declared she has opened a preliminary investigation of “possible” war crimes committed during the most recent Israeli war on Gaza. She also vowed an independent and impartial preliminary investigation, adding that the move comes after the Palestinian Authority signed the founding treaty of the ICC in July of last year, and officially recognized its jurisdiction. During the summer Israeli escalation on the Gaza Strip, the army bombarded dozens of thousands of Palestinian homes and residential towers, hospitals and clinics, UNRWA schools and facilities, media offices and dozens of other civilian facilities, in addition to destroying the infrastructure in the besieged coastal region. The Ministry of Housing in Gaza recently said the number of homes that have been destroyed, and partially damaged, during the Israeli aggression on the coastal region is close to 124,000. The Israeli bombardment and shelling killed at around 2137 Palestinians, including 578 children, 264 women, and 103 elderly, while wounded more than 11100, including 3374 children, 2088 women and 410 elderly. 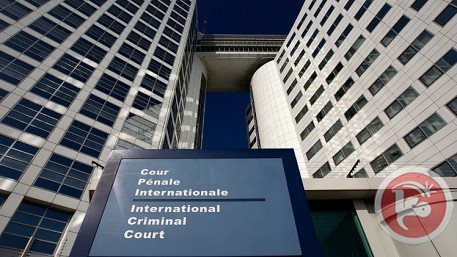 The International Criminal Court's prosecutor, on Friday, opened an initial probe to see if war crimes have been committed against Palestinians, including during last year's war on Gaza. "Today the prosecutor of the International Criminal Court Fatou Bensouda opened a preliminary examination into the situation in Palestine," her office announced in a statement, adding it may lead to a full-blown investigation. According to AFP, Bensouda said her office would conduct its "analysis in full independence and impartiality". "A preliminary examination is not an investigation but a process of examining the information available in order to reach a fully informed determination on whether there is a reasonable basis to proceed with a (full) investigation," Bensouda said. Depending on her findings, Bensouda will decide at a later stage whether to launch or quash the investigation, based on the initial probe. Meanwhile, Palestinian ambassador to Russia, Faid Mustafa, told Ma'an News Agency that the Palestinian Authority had begun to prepare documents for lodging formal accusations against Israel. President Mahmoud Abbas signed requests to join the ICC and 16 other conventions, following the UN Security Council's failure to adopt a resolution which might have opened channels for full Palestinian statehood. The US branded the move as "counterproductive", while Israel responded by delaying the transfer of $127 million in taxes it collects on behalf of the Palestinians. According to the UN, Palestine is slated to join the ICC on April 1st. 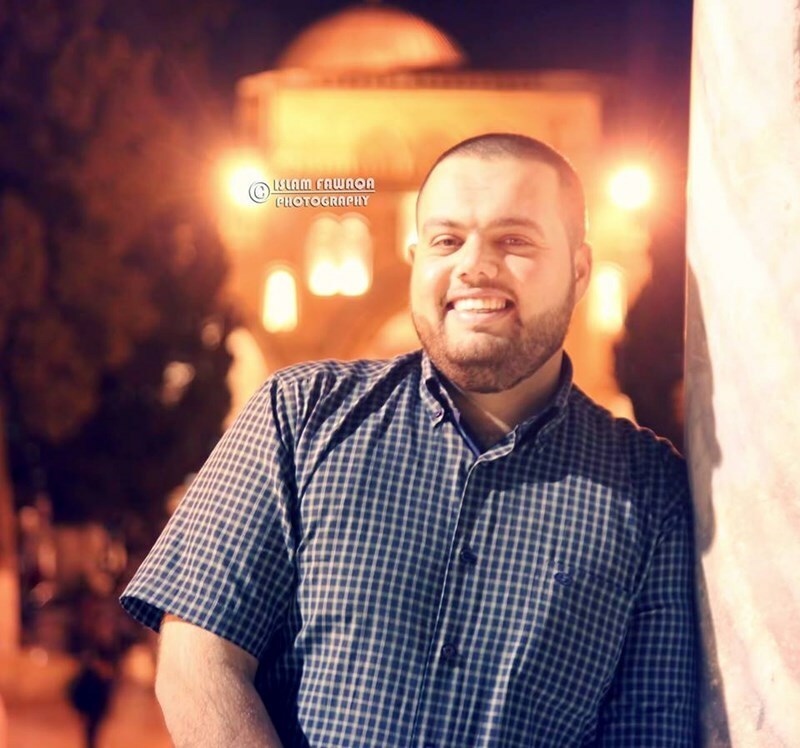 Police in Gaza late Friday found the body of a missing fisherman on the seashore in Gaza City, police said. Police spokesman Ayman al-Batanji said the body of Haitham Muhammad al-Qaran was found near al-Jazeera hotel on the west side of the city. 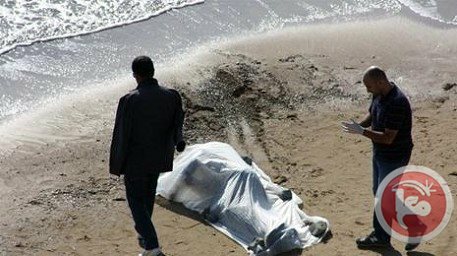 Al-Qaran, who is from al-Nusairat, had been missing for seven days after his boat capsized with three others during the latest storm. The three others survived. The Palestinian Authority (PA)Thursday issued a statement condemning the French satirical magazine Charlie Hebdo for publishing sardonic cartoons of Muslims’ Prophet Muhammad. "The Palestinian presidency condemns the offensive cartoons published by Charlie Hebdo in its last edition,” the PA statement read. “Our recent solidarity with the French people against the terrorism that took place in Paris is a principled position against all forms of terrorism in all places in the world,” the statement said. "At the same time, the [Palestinian] presidency affirms that no party has the right to exploit freedom of speech to insult the faiths and religious symbols of others,” it added. "The religious feelings of all should be respected in order to create a climate for tolerance and coexistence between peoples," the statement concluded. A caricature of Muslims’ Prophet Muhammad (Peace be upon Him) was published anew by the French satirical magazine Charlie Hebdo in a recent issue only one week after an attack left 13 of its staff members dead because of previous anti-Islam cartoons. The United Nations on Thursday called on Israel to unlock millions of dollars in taxes owed to the Palestinian Authority that were withheld after it decided to join the International Criminal Court. A senior UN official told the UN Security Council that the freeze of about $127 million imposed on January 3 was in violation of the Oslo peace agreement between Israel and the PLO. "We call on Israel to immediately resume the transfer of tax revenues," said UN Assistant Secretary-General Jens Anders Toyberg-Frandzen. The United States and the European Union have criticized Israel's retaliatory move in response to the Palestinian application to join the ICC, which could investigate war crimes complaints against Israel. The 15-member council was meeting to discuss the Middle East after rejecting in a vote last month a resolution on Palestinian statehood that had been strongly opposed by the United States. The UN official told the council that recent developments had further reduced prospects for reviving Israeli-Palestinian peace talks. The Palestinians and Israel are "now engaged in a downward spiral of actions and counter-actions," warned Toyberg-Frandzen. The council was meeting as Arab foreign ministers gathered in Cairo decided to make another attempt to win approval for a UN resolution on ending Israel's occupation of Palestinian territories. Several Arab countries were tasked with what the Arab league described as "the necessary communications and consultations to submit a new Arab proposal to the Security Council." The failed Arab-backed resolution set the end of 2017 as the deadline for a full Israeli withdrawal that would pave the way to Palestinian statehood. The United States and Australia voted against but China, France and Russia were among eight countries that backed the resolution, leaving it just one vote short of the nine required for adoption. The outcome spared the United States from resorting to its veto, a move that could have undermined its standing in the Arab world at a time when Washington is leading a campaign against Islamists in Iraq and Syria. Five countries seen as having a more pro-Palestinian stance began their term at the Security Council this month -- Angola, Malaysia, New Zealand, Spain and Venezuela. The Arab League said on Thursday it will seek to shore up international support for another attempt to obtain a UN resolution on ending Israel's occupation of Palestinian lands. The decision at a gathering of Arab foreign ministers in Cairo came after President Mahmoud Abbas asked them for another chance following the UN Security Council's rejection of his last bid in December. Those at the meeting gave several Arab countries the task of undertaking "the necessary communications and consultations to submit a new Arab proposal to the Security Council," a statement said. After last month's failed UN bid, the PLO was granted a request to join the International Criminal Court, in a move paving the way for them to pursue Israeli leaders for alleged war crimes. 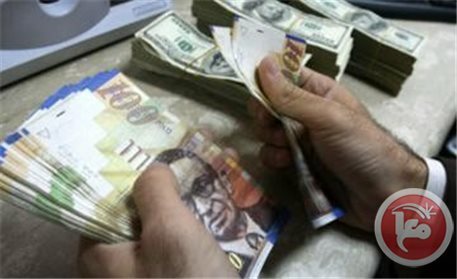 In response, Israel froze the transfer of $126 million in taxes collected on behalf of the Palestinians, and threatened legal countermeasures against the Palestinian leadership. An Arab-backed resolution on ending the Israeli occupation by the end of 2017 was rejected at the Security Council on December 30, with the United States and non-permanent member Australia voting against it. China, France and Russia were among eight countries that backed the resolution, just one vote short of the nine required for adoption. 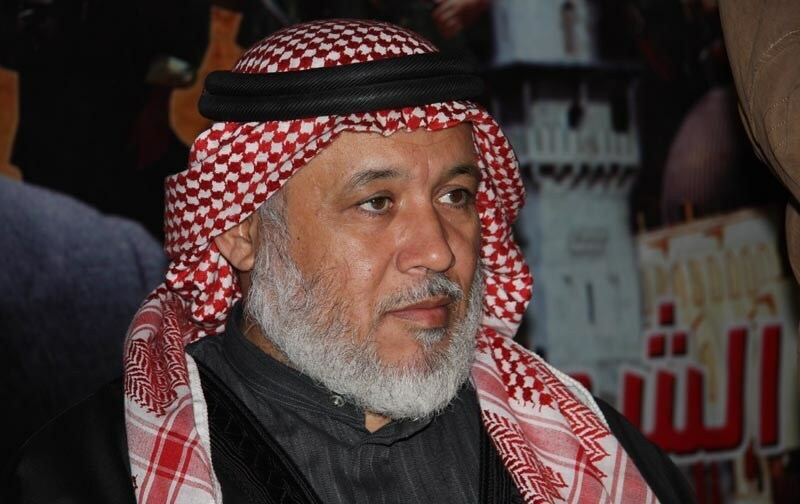 The Palestinian lawmaker Marwan Abu Ras, head of the Palestine Branch of the Union of Muslim Scholars, strongly denounced the French satirical magazine Charlie Hebdo for republishing cartoons ridiculing the Prophet Muhammad (Peace be upon him). MP Abu Ras declared in the meantime his total rejection to the use of violence in protesting against such offenses. He considered republishing the cartoons as a provocative act to millions of Muslims all over the world especially in light of the religious hatred and racism practiced against Muslims. Such offensive acts would incite desire for revenge and violence, he stressed. He called on the French government to put an end to the growing racism against Islam under flimsy pretexts. He also called for prosecuting those offenders against Prophet Mohamed and Islam, saying that such an act incites sectarianism and religious hatred. 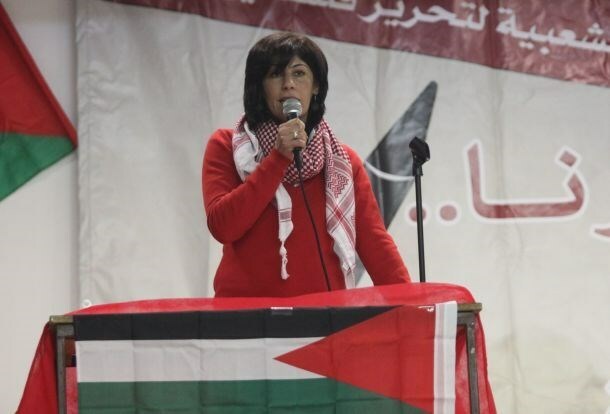 Palestinian lawmaker Khalida Jarrar has criticized the Arab peace initiative as "dangerous" to the Palestinian cause, and stressed that no one has the right to waive the Palestinian people's national rights and constants. MP Jarrar, politburo member of the Popular Front for the Liberation of Palestine, said the Arab peace initiative detracts from the Palestinian refugees their right to return to their homes and lands they were displaced from during the 1948 war. She emphasized that the "struggling" Palestinian people would never accept such an initiative or anything else that does not satisfy their aspiration for liberation and return. "We are convinced that it is difficult for any leadership to impose a decision that is incompatible with the vision of its people, so what is needed is a strong position stopping all forms of negotiations with the enemy before continuing to go to the UN and its institutions in order to replace the US sponsorship with an international one," she said. The lawmaker underlined that the Palestinian Authority in Ramallah has two options, either to distance itself from its people who reject any settlement plans or join their struggle for liberation and independence. President Mahmoud Abbas is scheduled to meet with Egyptian counterpart Abdel Fattah al-Sisi in Cairo on Wednesday, Egyptian officials said. Abbas and the Egyptian president are likely to discuss the UN Security Council bid to end Israel's occupation and the reconstruction of the Gaza Strip. A high-profile Palestinian delegation will join Abbas, including PLO negotiator Saeb Erekat, presidential spokesman Nabil Abu Rudeina, ambassador to Egypt Jamal Shubaki, and head of the PA's general intelligence service Majid Faraj. A Palestinian farmer on Tuesday found a huge dead snake in fields in the northern West Bank village of Azzun east of Qalqiliya. Locals told Ma'an that Mumin Qatish was checking his land near the Israeli settlement of Maale Shomron when he saw the snake. He carried it on the roof of his car and took it to the village to show locals. Qatish did not say what species the snake was, but it was more than five meters long and about four inches in diameter. It was an unusual find because snakes that large are not thought to be indigenous to the West Bank. Villagers speculated that the snake, if it was a pet, might have escaped its owners in the settlement and died in the fields as a result of freezing weather or coming into contact with pesticides. 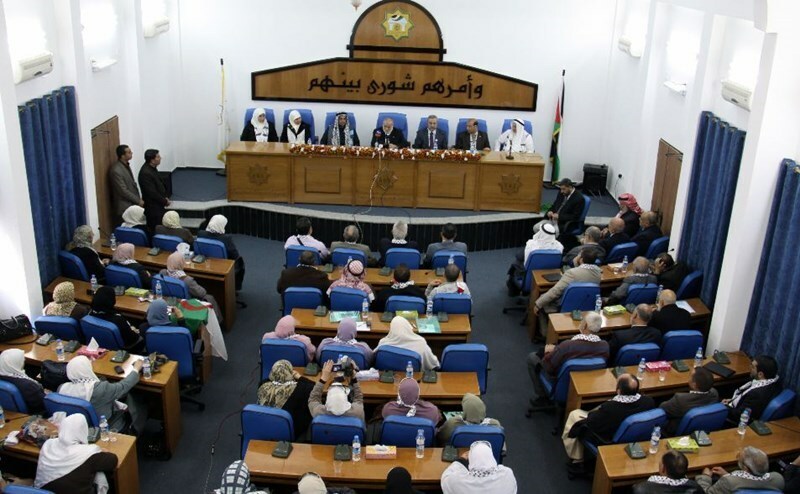 The Palestinian Legislative Council (PLC) resumed Wednesday morning its sessions in Gaza Strip under the theme: “The siege and its disastrous impacts on the Palestinian people” after being suspended over the past seven months. PLC first deputy speaker Dr. Ahmad Bahar said during the opening session that was attended by Hamas-affiliated MPs that the PLC session came after PA Chairman Mahmoud Abbas’s rejection to carry out his obligations in calling for PLC vote of confidence on the new unity government. According to the reconciliation agreement reached between Fatah and Hamas movements in Cairo last April, Abbas has to call for PLC vote of confidence only a month after the formation of the unity government that was already declared last June. However, this has not happened yet. "We will never give up our legislative roles and duties set up by law in light of the ongoing serious challenges", Bahar said. "We will continue holding the PLC sessions till achieving the national reconciliation that has been hampered by some parties", he added, calling for uniting Palestinian efforts in face of Israeli plans. He pointed to the catastrophic human conditions in Gaza due to the continued siege, condemning, in this respect, the unity government’s refusal to meet its responsibilities in Gaza according to the reconciliation agreement. 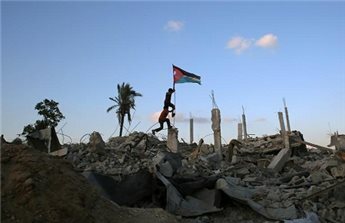 “The snowstorm has deepened the suffering of the people of Gaza in light of the continued siege especially that hundreds of families are living in tent camps", Bahar said, adding that the government’s failure to settle the issue of the payment of civil servants' salaries had exacerbated the miserable conditions in the besieged enclave. Bahar hailed the Jordanian parliament’s amendment of the Terrorism Act so as not to include Hamas in the terror-list. The PLC deputy speaker urged Arab and Islamic organizations, parliaments, human rights organizations and the United Nations to urgently act to save the Gaza Strip in light of the catastrophic humanitarian and economic crises engulfing it and to put an end to the unjust 8-year siege. He also called on the Egyptian authorities to open Rafah Crossing before people and goods’ movement especially that tens of thousands of patients and students are in desperate need of travel. A big explosion is about to happen in Gaza unless the international community intervenes immediately to end this suffering, he concluded.